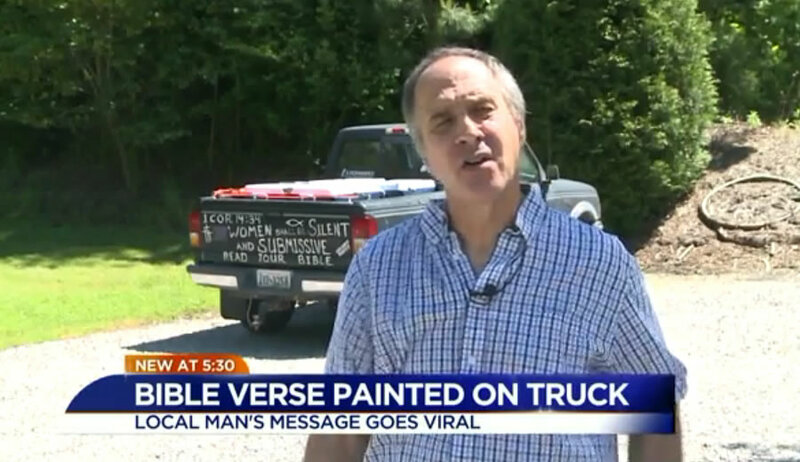 In this screengrab from video, Virginia atheist Tom Hicks speaks to WTVR reporters about why he painted a paraphrased Bible verse on the back of his truck. I’ve spent an awful lot of time over the years helping atheists understand Christianity. Too often I find I have to help atheists understand themselves, too. They claim to be the party of reason and science, facts and evidence, but frequently atheists avoid the facts that matter. They need to take a better look in the mirror. Another leading atheist author, Sam Harris, was heading up “Project Reason.” Top atheist organizations like American Atheists and the American Humanist Association put “evidence” and “reason” at the top of their lists of values. They trumpet them so loudly you’d think they’d act them out. Instead I frequently find them using evidence selectively and self-servingly to draw unreasonable conclusions. They avoid most of the real facts. A scientific, reasoned, fact-based approach — the sort atheists claim to follow — would take all the relevant evidence into account. Hicks chose six words. I saw the latest sign of that last week in a news item from WTVR in Virginia, about one Tom Hicks. Hicks had painted a Bible verse on the back of his pickup truck: “Women shall be silent and submissive,” 1 Cor. 14:34, adding, “God said it, believe it,” and “Read your Bible.” Apparently this has gone viral recently. Is he right? A scientific, reasoned, fact-based approach — the sort atheists claim to follow — would take all the relevant evidence into account. Hicks chose six words. What would he have to work with if he took a broader view? A lot. The Bible was written in a period when women were routinely, severely, subjugated. Hebrew men routinely thanked God they had not been born a Gentile, a dog or a woman. Abortion in those days was a matter of the man’s choice, not the woman’s, and was often highly injurious or even fatal to the woman. Women’s legal status in many places was equal to a male child’s, or worse. Jesus surprised his male followers — and the woman herself — by spending time respectfully talking with a Samaritan woman (John 4). His followers included many women; see for example John 11. The first persons to see him alive after his resurrection were women. Never in the Gospels do you see him talking down to women as inferior. Never. The apostle Paul broke the pattern. The first convert to Christianity in Europe was a woman, Lydia, in Acts 16:6-15. Paul ministered with Aquila and Priscilla in Corinth (Acts 18); later he greeted them with the order reversed: Priscilla and Aquila (Rom. 16:3, 2 Tim. 4:19). It’s a small thing but strongly symbolic. One-third of the people he named in his long closing greetings to the church in Rome (Romans 16) were women. One of them, Junia, he described as “outstanding among the apostles.” There’s room for debate over what that meant, but there’s certainly no way to take it as demeaning. Paul preached radical equality in marital physical relations, in 1 Cor. 7:3,4. He taught male headship in marriage, yet that potentially hot doctrine has to be taken in context, too: He taught men that their role was to give themselves up for their wives as Christ gave himself up for the Church, and that men are to love their wives as their own bodies (Eph. 5:22-33). The early church broke the pattern. The Church has continued to break that pattern. Among all major world cultures and religions, women have never attained anything approaching equal status to men except in regions heavily influenced by Christianity. In China, young girls were crippled for life by “foot-binding,” for the sake of men’s sexual pleasure later in life. In India, widows were required to throw themselves alive onto their late husband’s funeral pyres. 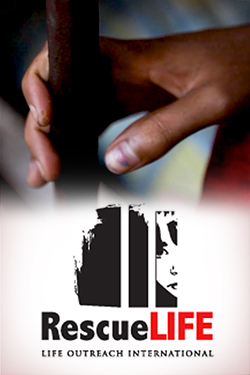 Both those practices were put to an end largely through the work of Christian missionaries. I need not remind you how much better off women are in historically Christian lands than in historically Muslim ones. There are exceptions, certainly: Christians have not always treated women well. A reasonable person would admit, though, that it’s at least possible that it’s not Christianity’s fault. It could be (and I think it is) because men still fall to the temptation to use their physical power to dominate women, rationalizing it through selective use of Scripture — just as Hicks did. Atheism claims to be reasonable and fact-based, but it doesn’t live up to it. Now, just as Christianity may not be to blame for some men’s treatment of women, atheism may not be to blame for what atheist men do. The fact that its two most prominent living leaders are named here, though, does raise tough questions about the movement as a whole. From this we can safely conclude two things. First, Christianity is certainly not the “hateful, hateful” religion Hicks says it is. A reasonable, fact-based view shows it’s reasonable to think that, in Sue Bohlin’s words, Christianity is “the best thing that ever happened to women.” You might disagree with that, but are you taking all the facts into account? Second, Hicks jumped to an unreasonable conclusion — and he’s trying to sell that conclusion — based on a self-serving, biased, misleading, and ridiculously small sample of the relevant evidence. You’re free to disagree with that too, but if you do, you’re making the same mistake atheism makes over and over again. This is just one small sample illustrating something I see repeatedly. Atheism claims to be reasonable and fact-based, but too often atheists avoid facts that don’t serve their own purposes. Tom Gilson is a senior editor with The Stream and the lead editor of True Reason: Confronting the Irrationality of the New Atheism (Kregel Publications, 2014), which refuses to avoid facts, and provides a much more complete case for the point about atheists illustrated here. Follow him on Twitter: @TomGilsonAuthor. In that passage Paul is correcting the church at Corinth for thinking that the law says women need to be silent. Verse 34 is part of what the church mistakenly thought, verse 36 is Paul’s correction. Most of 1st Corinthians, starting with chapter 7, is Paul answering questions they had for him. That is a tough verse to explain even to believers, let alone atheists…would take alot of prior prayer and divine intervention. It’s not at all hard to understand, or explain, when taken in context and when you include the corresponding instructions to men to be ready to die for their wives and to love them. If the God of the Bible is not real, then it makes no difference what anyone believes. Or what anyone does. Morality does not exist without God. There is no evidence that any other god exists, so we need not worry about offending some unknown god either. If the God of the Bible is not real, then there is no objective reason why one belief or behavior is any better, or worse, than any other. We will all soon be dead and cease to exist. There is no Heaven or Hell, and no consequences for anything we do in this life. But many atheists disagree. They think it is very important what everyone believes and does. I have asked a few atheists to explain this to me, but none of them have given an answer that is rational. There is flawed logic in this post. I invite an open discussion to address it. At the very least you can see a different point of view. “Morality does not exist without God” is the single most common and arrogant expression that religion offers. It says that without this ONE PARTICULAR god (read, “of course I mean MY God”), that mankind would be in total chaos because it would be without morals. But what about your neighbor’s god and the scriptures that govern THOSE morals? Let’s assume for one moment that both you and your neighbor are Christian. You are Baptist, but your neighbor is Lutheran. Same god, DIFFERENT MORALS. If your neighbor is Methodist, same god, DIFFERENT MORALS. Now let’s say that your neighbor is Jewish. Almost the same god,, DIFFERENT MORALS! How about if your neighbor is Muslim? Different god, different morals. See a theme here? No matter the god, people have different morals. One god says that you should love your neighbor unconditionally, another says you should love your neighbor so long as your neighbor isn’t gay, and yet another says you should pity your neighbor because they are going to burn in hell because they haven’t been dunked in a river by a holy magician speaking incantations of god. Now you can choose to say the next line in the script. “Those other people’s religion is wrong because A-B-C”, or “Those other people aren’t real Christians because of A-B-C”. But doesn’t it make more sense to look at the bigger issue? Human morals are subjective and cultivated within one’s social environment by upbringing, positive and negative consequences, and the fear or desire of those consequences in the constant need to be accepted within one’s society. It is flawed to assume that your particular scripture is the reason that people have morals, because even if your particular scripture was the ONLY available source for morals (which of course it is not), that scripture is viewed in many, many different ways, deciphering many, many various and contradictory moralities. That’s not a source, it’s a viewpoint, an idea, ONE PARTICULAR EXPLANATION for the way things are. “There is no evidence that any other god exists…” Um, which god is that? Because all religions claim that. And if there actually were evidence of ANY god existing, there wouldn’t be so many religions because we would all unequivocally follow the god that has proven itself. That’s how Atheists view the problem in a nutshell. The only “evidence” anyone can claim about their religion is a feeling they get “in their heart”. It’s emotional. It’s individual. If that’s all it took to prove the supreme creator exists, we could all be worshiping chocolate, or drugs, or that first cup of coffee in the morning, because all those things create such a pleasurable, emotional feellng. “If the God of the Bible is not real, then there is no objective reason why one belief or behavior is any better, or worse, than any other. We will all soon be dead and cease to exist. There is no Heaven or Hell, and no consequences for anything we do in this life”. It is flat-out wrong to say there are no consequences for what we do in this life if there is no Heaven or Hell. There is a difference between Eternal Reward or Punishment and consequences of action. There are ALL KINDS of consequences for our actions in this world, no matter what god we believe or don’t believe in, and if you don’t think that’s correct, ask any religious or non-religious person in prison if they agree. Or any religious or non-religious millionaire for that matter. Here it is, from an Atheist. In my head (and many like me), BECAUSE there is no Heaven or Hell, there is only one life. A good run in this life will give you 75-100 years of life. Considering how many gazillions of things that could go wrong in the universe, the fact that we’re here at all is pretty amazing. We don’t allow a fear of death get involved in how we live our life NOW. We don’t allow a fear of eternal damnation dictate how we treat each other in this world. We don’t expect our sorrow and misfortune in this world to be corrected in Heaven as eternal reward. We go out and fix it ourselves! Why is it important what we believe and do? Because we can spend our time and resources and entire short lives making each other happy and living in love and improving our lives instead of dumping it all, or leaving it up to an idea of an afterlife and a creator to fix everything. We build hospitals with the resources others spend on churches. We discover the reality around us without assuming that the only answer to all of life’s questions is god. We learn and we improve and we better our surroundings and our lives through progress instead of stopping at a book that described life over 2000 years ago. Atheists believe that this is the only chance we got so we make the best of it. That’s why and how we have morals and care what people believe. Because progress only happens when you ask questions, not when you assume answers. And we have precious little time to get all this right before we “cease to exist”. Here’s the last thing. Atheism is an idea, just like all the religions are ideas. Ideas should be discussed, because no ONE PERSON can know that their particular idea is correct. I say again that I invite an open discussion to my idea, because I’m no more “right” than you are. There’s a big difference between what one believes and what one does. Without a deity, morality, recognition of good and evil still exist. We teach our children to foster good and eschew evil. They learn or fail to learn at home, in church, mosque, wherever, Personal belief or disbelief is a private matter, but actions have consequences here on earth, never mind hereafter. So, it is indeed important what people do. What people believe is their business. Morality does exist without God, that is easily demonstrated by all the cultures that developed laws with the Christian mythology. . There is no evidence that ANY god exists outside of Man’s creative mind. Your beliefs are ONLY of consequence to me when you use then to justify repressive laws in our secular society. If morality does not exist without god, then it does not exist with god either. Romans says that every man knows God exists. Atheists are liars who just want to avoid responsibility and live a life pleasing to them. In other words…….there is no such thing as an atheist. It is important to me to lead an ethical life and one that gives back to my community and renders aid and assistance to those who need when ever I can. Most atheists and humanists I know are not trying to avoid responsibility, but are trying to work towards the greater good in their communities. Many people of belief who criticize and attribute negative attributes to atheists have never met one or spend any time respectfully having a conversation with someone who is not a believer. Although there are things we will never agree on, you might be surprised to find we do share some things in common. Victoria, can I ask you a tough question? How do you know that the people you call your parents, are really your parents? Easily documented by substantial records. I know who begat whom in my mother’s family dating back to the mid-900AD, all recorded in Britain since 1066 AD when we invaded from Normandy. Being a descendant of Norman nobles makes the tracking quite easy. There have been two books about my family and its amazing 1000+ year documented genealogy. One on 1000 years on Europe and one on American branch from 1628 at Jamestown to present. And you, Jair how many generations can you document? Well, like everybody else I accepted my parents by faith. When you are a small child you do not require proof from whom is taking good care of you, and even when older, I did not order a DNA analysis to determine my parents. My point is, we accept and believe our parents without scientific proof. Why then do people demand scientific proof to believe in God? Clearly there are ways to acquire knowledge that are beyond science, and that’s how you get to know God, by divine revelation, just ask and be surprised by joy!! See I don’t take anything on “faith”, I look for facts. That’s not a tough question. It’s a stupid question. My family left Sweden in 1840 over a tax to support the state church, they were Freethinkers. They teamed up with Germans to settle and found in 1854 Comfort, TX, a town with no churches or religion for 2 generations until the Baptists snuck in and used WW1 and anti-German sentiments to break up the Freethinker community and take control of the town. Atheists are very real and there are more of us everyday and fewer Christians too. WE don’t care about your supernatural superhero and certainly have no reason to fear myths or lie about it. So how do you explain the countless millions of Hindus (many gods), Buddhists (and Confucians, no god), and pantheists (Nature as god.) Most lead very ethical lives. And atheists for some reason are far more law abiding and less likely to divorce than religious fundamentalists. How devious we must be. Avoiding facts that matter is a core human problem, I think. It’s at epidemic levels today. It has become clear that atheists are almost routinely idiots, with some underlying hurt they are trying to address. Their grasp of science is often hilarious, and their grasp of Christianity is even worse. So often, they are just jerks who need to get a rise out of lashing out. Wow, is that the speech of a loving Christian? Name calling atheists “idiots” and “jerks” is not likely to entice non-believers to warm up to Christianity. In fact it could be that sort of very behavior from “loving” Christians that may have made some abandon religion altogether. According to a recent study, 11 times as many people leave religion as convert from Nones to religious. The fastest growing segment is the Nones, increasing with every study, more Americans and Europeans reject myths, legends and superstitions of the old religions and become secular. Yes, idiots like Edison, Carnegie, Einstein, Salk, Sabin, Feynman, Asimov, Sagan, Neil DeGrasse Tyson, numerous Nobel Prize winners, and over 90% of the leading scientists in the USA! I suggest that Hicks’ basic idea stems from the frustration that many atheists have that very many Christians do not read their Bibles, rather rely on what their families and their preachers and what is said inside their comfortable bubbles, but still insist on thumping their Bibles and declaring specifically what it says. Sure, Hicks is cherry picking. Sure there is more meaning behind the few words he quotes than he is giving credit to. But so many Christians do the very same thing that it leads to drastically different interpretations of the same scripture. So what Hicks is guilty of more than anything else is being Human. And that condition, too, cannot be attributed only to Atheists. Great article and well-put point of view! This whole thing as nothing to do with science, that women were abused historical and the bible holds that outdated perspective is history, not har science. Ideological feminists seek to take over the Humanist/Atheist movement and have falsely raised accusations of sexual harassment and racism at these groups’ conventions and meetings. I know this for a fact, as I have attended numerous Atheist and Humanist conventions and meetings and have never have witnessed any signs of sexual abuse of women or racist treatment of African-American attendees and speakers . Most of the attendees have been progressive, college educated middle aged people or seniors, mostly married couples. The likes of Rebecca Watson, Stephanie Szan, Greta Cristina and S. Hutchinson have caused enormous damage to the freethought community in the USA in their efforts to have the activities of the various groups subordinated to their agenda of feminist and minority grievances. As this article demonstrates, the Religious Right has eagerly picked up on these accusations and used them to attack and smear atheists and humanists and the very notions of rationalism and skepticism. It doesn’t even take historical context to deconstruct this myth, it only takes a contextual look at the Bible itself. St. Paul in other places already deemed that women could both pray and prophecy in church. What he is referring to here (for those who actually study their Bible) was the practice whereby Corinthian women had begun chatting and asking questions during church. The Greek word in question usually refers to arguments/chats/disputes. It is not the physical act of speaking (as proven by the fact that Paul says women can prophecy elsewhere). Furthermore, as for the authority matter, he was following the custom (still followed today in that the Catholic and Orthodox churches do not have female priests) that males makes judgments on scriptural matters because Christ entrusted this to a male (Peter) and had no female disciples as such (thought this does not diminish the important but DIFFERENT roles of Mary Magdalene and Mary the mother of Christ. In other words, it only takes an honest reading of the Bible to dispute the atheist’s claim, but of course that is NOT what the atheist was looking for. He was looking to find something with which to tar Christians, and of course by looking far enough and picking out a few words he was able to find it. This is to be expected. Christ predicted that since Christians are not of the world that the world would seek to ruin them. I have been to the Bible Belt and agree that it does not appear to be part of this world…the modern world, that is. And has encouraged that ever since. That the Bible reflects the eisting worldview of the time is one of the reasons to doubt it is divinely inspired. The Bible does not argue against slavery, but rather gives rules for it, with some leniency only towards slaves of one’s own race. The Bible does not grant equality to women, but rather clearly asserts, in multiple ways, that they are secondary to men. Either the god of the Bible doesn’t care about these things, or the bronze age human authors didn’t. You are certainly an atheist’s dream come true. There’s no doubt that women were second-class citizens everywhere in the world in the 1st Century. If you’re willing to read out of the new testament the passages that command women to be submissive, that demean women, that tell women that they are not in control of their reproductive rights because men are, then your having attended the Reason Rally had just the effect every atheist would want. This fact-based, no modern-day reason to hate women approach would also logically, of course, extend to homosexuals since they were vilified just like women. We now welcome you to the pro-choice and pro-gay marriage world and hope you’ll convince other people in the church to see the fact-based value of your pro-choice and pro-gay marriage stance. Why is this Christian advocacy garbage included in a Humanities publication? Early Christianity may have treated women better than Judaism or Greek culture, but once it was codified it locked that part of the world’s misogyny into law. This article is misleading in that it ignores cultures (for example, ancient Egypt) where women had a higher standing than they did in Hebrew or Greek society.